Antiques, old and second-hand items: furniture, paintings, sculptures and graphic artworks, ceramics, glass, furnishings, silver and silver plated items, carpets and tapestries, fabrics, garden and architectural features, second-hand items in general suchas clothing, household goods, etc. Collectibles: philately (stamps and related items), numismatics (coins, banknotes and related items), official documents, books, magazines, newspapers and printed matter in general, atlases, maps, manuscripts and autographs, writing material and accessories, postcards and photographs, jewellery, watches and clocks, optical instruments, cameras, precision instruments, records, gramophones, radios, musical instruments and other sound reproduction and communication tools, lace and crochet works, tablecloths and tableware, games and toys, models, toy soldiers and stickers, smoking paraphernalia, perfumes, militaria and decorations, working tools, statuettes and animal figurines. Hobbyists cannot sell paintings, sculptures and graphic artworks, antiques or items of historical or archaeological value. Please bear in mind organisers reserve the right to carry out spot checks through a commission to verify compliance with the requirements. You can apply to become a stallholder by filling in the form on this page and sending it to the address indicated on the “Contact us” page at least 10 days before the event. A map indicating free parking and car parks offering daily rates is also available on this page. 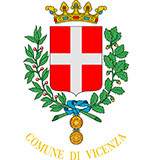 Local traders look forward to welcoming you to the city of Vicenza. Below you will find a list of businesses offering special arrangements. In addition, on market days, two information points will be available to visitors and stallholders inpiazza dei Signori and piazza Castello.